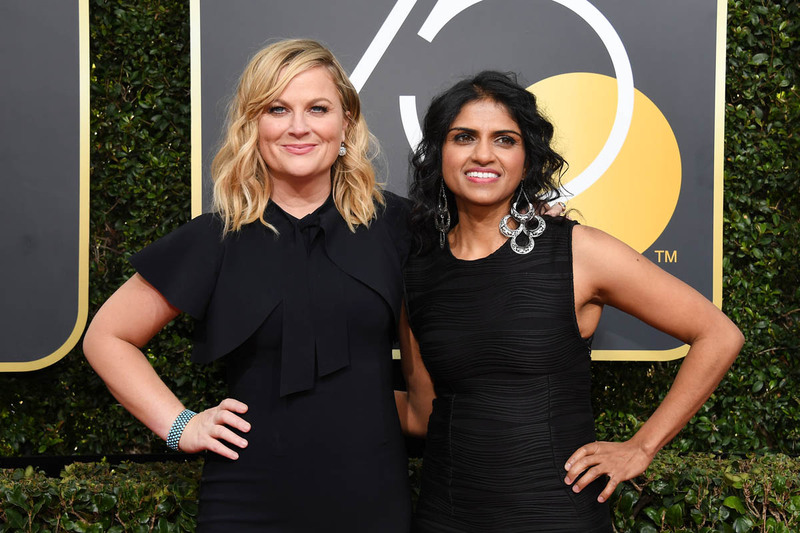 Let’s be real here – the Golden Globes hosting gig is 92% the opening monologue, because, as everyone tweets at 9:42pm ET, you forget that there was a host at all. 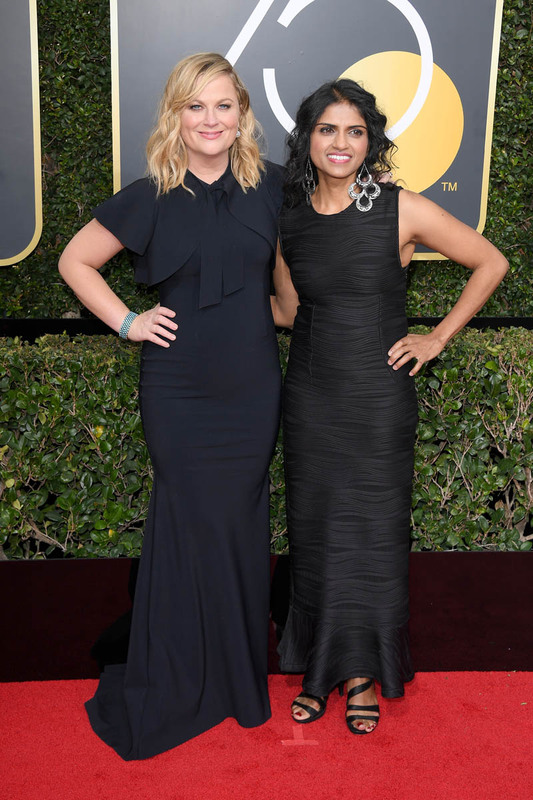 The exception was in the Amy & Tina years, and we’ll get to those in a second. But the entire tone of the show is set in that monologue, on how many of the jokes land or bomb. Which means it makes sense to hire someone who has experience with a live audience, night after night. But of course, most of the people who have that experience are white men. 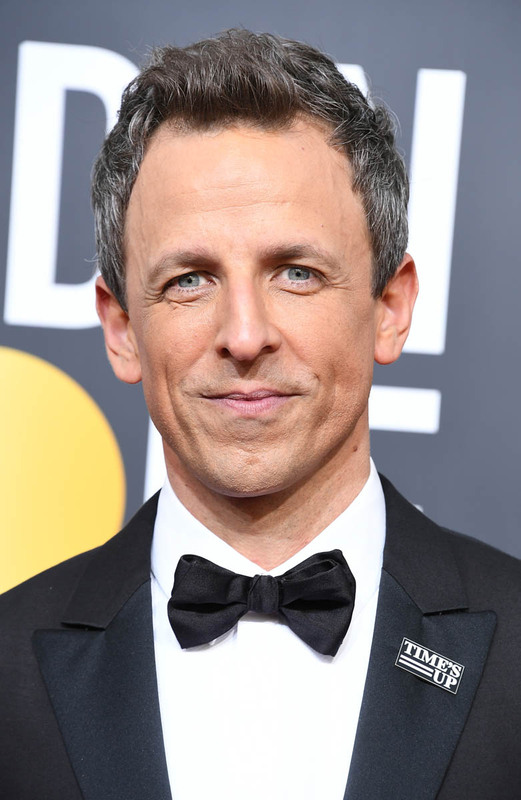 To his credit, Seth Meyers acknowledged that right off, and his speech dug in with dirty Weinstein and Spacey jokes that you know everyone in that room was delighted to hear and kind of afraid to be laughing at. Dude. You cannot be serious. You cannot be giving a speech about power in Hollywood changing and then say that you, a dude who has a show with your NAME IN THE TITLE, and then tell me you have no power. I know it’s a comfortable comedy joke, the whole ‘I’m a nerd and nobody likes me’ thing, but you threatened to tumble over the precipice there. 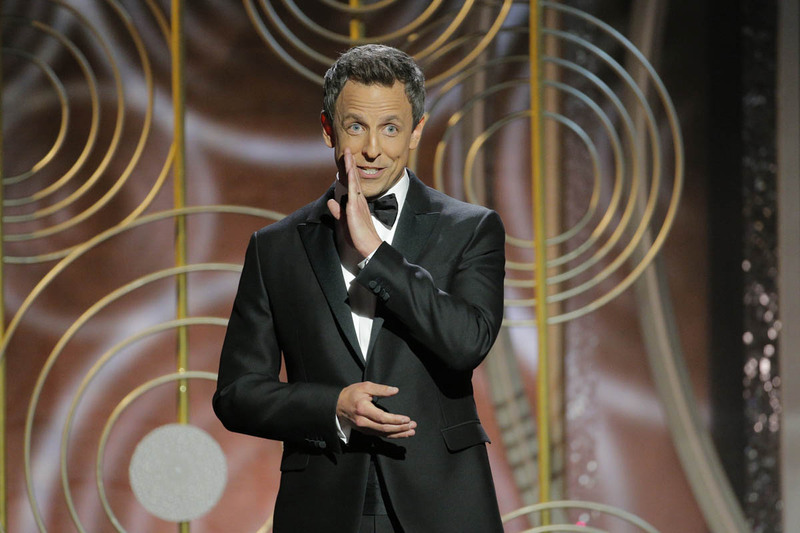 He got it back, though, with the ‘jokes Seth can’t say’ segment. 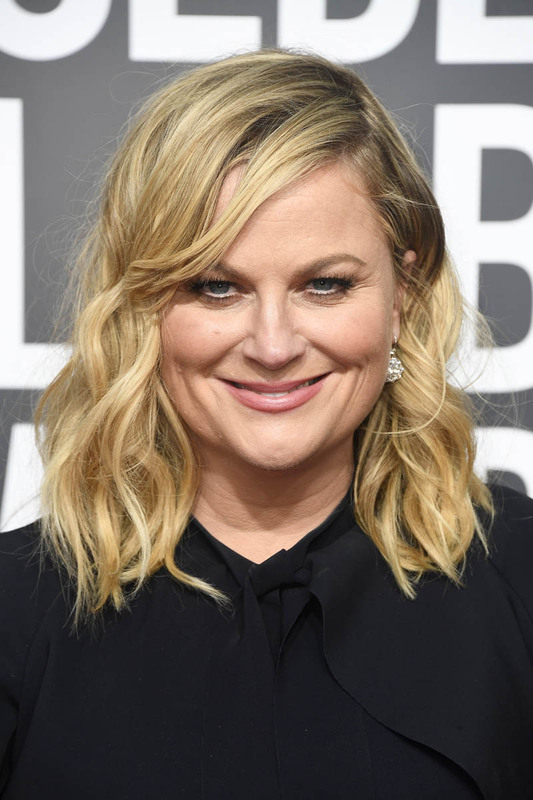 He had Chastain and Hong Chau and Issa Rae give pointed punchlines, and then he cuts to Amy Poehler, who is so gloriously here. She gives him relevance. 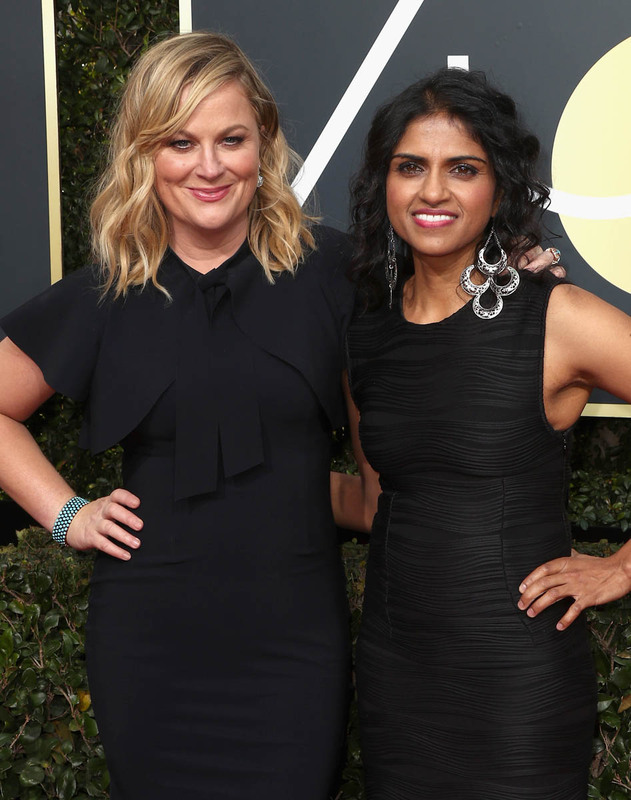 She – who attended with Saru Jayaraman, Co-Founder and Co-Director of the Restaurant Opportunities Centers United and thus is clearly taking the idea of using her platform to raise awareness seriously – lets him play the straight man – pun fully noted – and makes his bumbles okay by her participation. 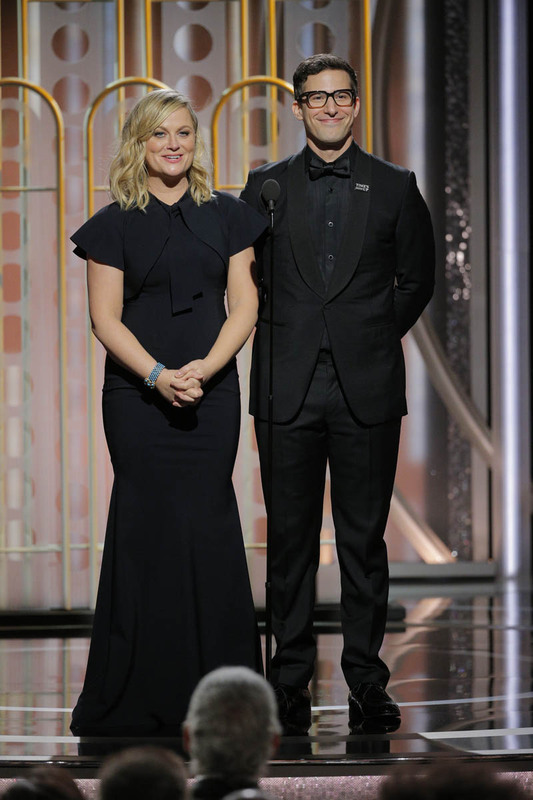 Because if she’s teasing him about mansplaining – “I’m a woman in Hollywood, Seth. 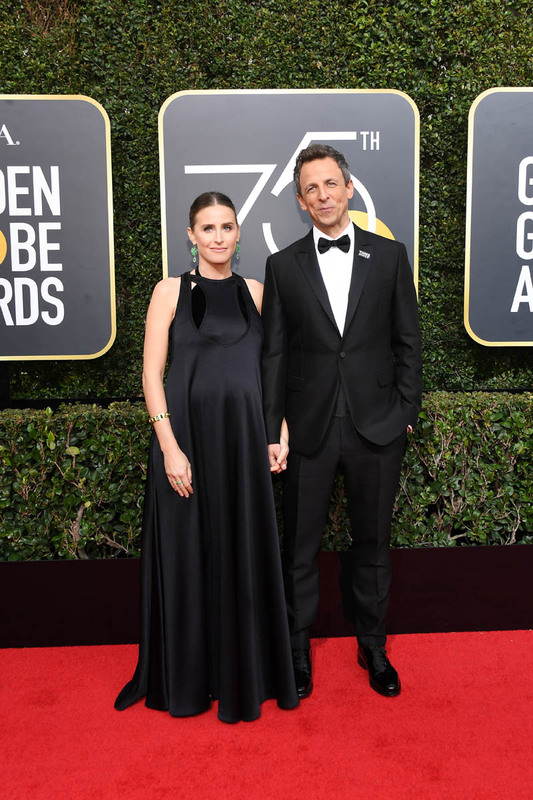 We’ve all been through a lot, I don’t need a setup” – then we get what we’re supposed to get, Seth is endorsed by Amy and so he’s ‘one of the good guys’. Which …. look, I get that he probably is. I’m just saying, it took adding all these women (including Tina Fey, who showed up in the credits along with Amy Poehler and a host of others as having contributed ‘Additional Material’ , i.e. 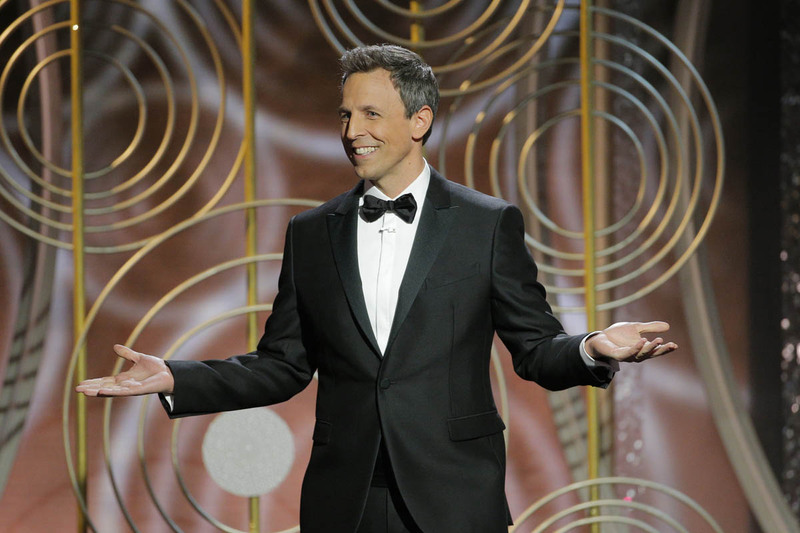 most of the jokes) to make Seth’s monologue feel like it really landed. 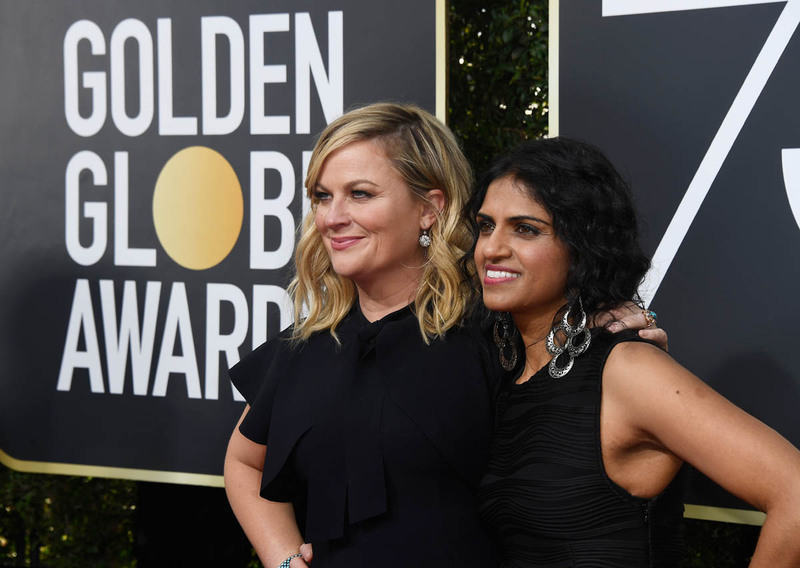 The good news is, I don’t think that fact – that the best lines went to women – was lost on anyone, and frankly, that’s not a bad way to start off one of the most memorable Globes in a long time.